Justine Laraby and Kemina Lopez are intimate acquaintances yet they have never exchanged so much as a single word. For months, high school senior Justine, and famed model, “Kemina, the Baby Vixen” of Nightingale Lingerie, have been peering at each other across a narrow alley between brownstones in the Upper West Side of Manhattan. This mutual observation soon turns into the exchange of handwritten messages on signs they hold up whenever they come to their bedroom windows. Via this “sign language,” a friendship grows, and Justine learns that Kemina is, like her, a high school senior, but with a controlling mother and a modeling career that requires her to maintain an unnaturally thin physique. And through the window, she also witnesses her new friend exercising fanatically, hoarding food, and being physically and emotionally abused by her ambitious mother. Window messages evolve into clandestine meetings and soon a tentative romance blooms. But Justine must come to terms with her own “mommy issues,” as well as accept her gender identity and sexual orientation, before she can provide Kemina with the support she needs to survive a family life that resembles a ruthless business transaction. 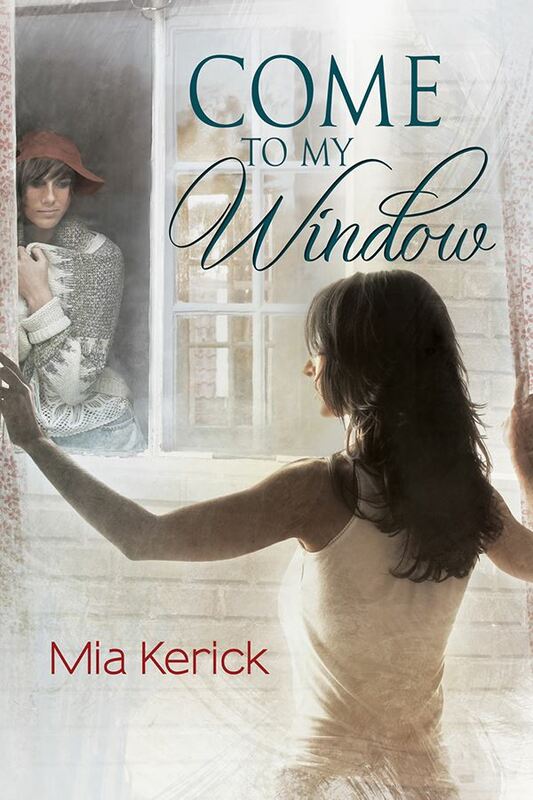 Will Justine be strong enough to throw open the window so Kemina can escape society’s suffocating expectations? Mia Kerick is the mother of four exceptional children—all named after saints—and five nonpedigreed cats—all named after the next best thing to saints, Boston Red Sox players. Her husband of twenty-two years has been told by many that he has the patience of Job, but don’t ask Mia about that, as it is a sensitive subject. Mia focuses her stories on the emotional growth of troubled young people and their relationships, and she believes that physical intimacy has a place in a love story, but not until it is firmly established as a love story. As a teen, Mia filled spiral-bound notebooks with romantic tales of tortured heroes (most of whom happened to strongly resemble lead vocalists of 1980s big-hair bands) and stuffed them under her mattress for safekeeping. She is thankful to Dreamspinner Press, Harmony Ink Press, and CreateSpace for providing her with alternate places to stash her stories. Mia is a social liberal and cheers for each and every victory made in the name of human rights, especially marital equality. Her only major regret: never having taken typing or computer class in school, destining her to a life consumed with two-fingered pecking and constant prayer to the Gods of Technology.